The Art Gallery of New South Wales in Sydney has scored a cultural coup with its new exhibition, Heaven and Earth in Chinese Art: Treasures from the National Palace Museum, Taipei. It will feature 87 of the most famous objects and paintings from the illustrious Taiwan institution, and marks the first time that an Australian museum has collaborated on a such a project with the National Palace Museum. T he show represents “an exclusive opportunity to see how Chinese art speaks to the modern world,” says Dr Michael Brand, director of the gallery. Among the highlights are a Qing Dynasty scroll painting Along the River during the Qingming Festival, a Song Dynasty lotus bowl, and a jade “bi” ritual disk, believed to be up to 5,000 years old. "Meat-shaped stone", Qing dynasty 1644–1911. Courtesy: National Palace Museum, Taipei. © National Palace Museum, Taipei. Yin Cao, one of the Sydney exhibition’s lead curators, says that each work has been selected for an ability to “capture the essence of nature”. This will be reflected in what is perhaps the headline work of the show, Meat-shaped Stone, a piece of jasper that resembles a slice of fatty pork. 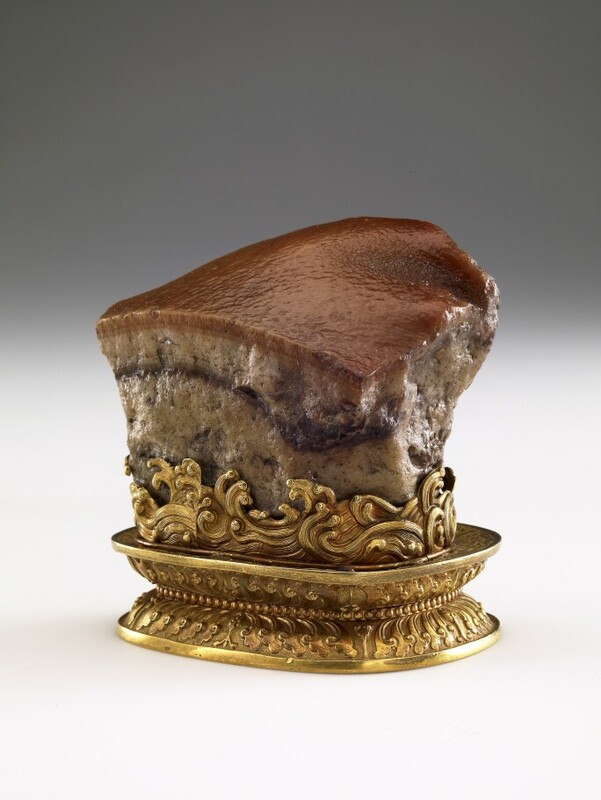 The stone, which is 66mm tall, was carved in the Imperial workshops during the Qing era (1644–1911) and made to resemble a slice of “Dongpo” pork – a stewed meat, the name of which references the 11th-century poet, politician and artist Su Dongpo, also known as Su Shi. 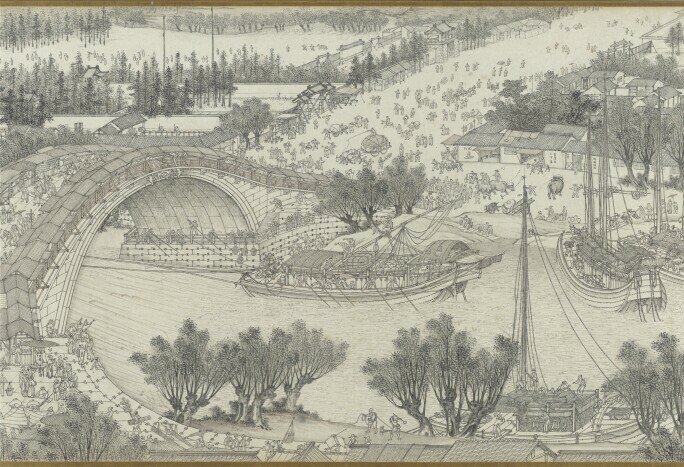 Shen Yuan, Along the river during the Qingming Festival, Qing dynasty 1644–1911. Courtesy: National Palace Museum, Taipei. © National Palace Museum, Taipei. The stone enjoys mythological status within the Asian art world, and is usually showcased in a special gallery in the museum, where long queues often form outside. The loan of the object to Sydney marks only the third time that it has left Taipei since it arrived from mainland China after the 1949 communist victory, and its departure merited an official announcement from the National Palace Museum. 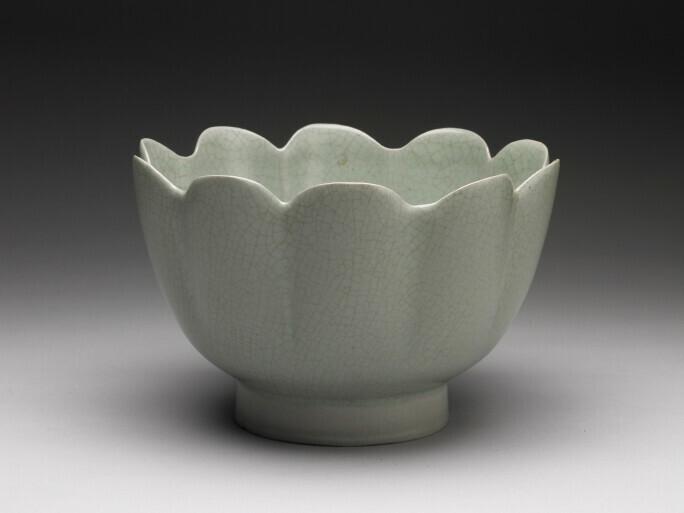 Celadon warming bowl in shape of a lotus blossom, Northern Song, late-1000s–early-1100s. Courtesy: National Palace Museum, Taipei. © National Palace Museum, Taipei. This fanfare is a reminder of what a remarkable opportunity the exhibition represents. Taiwan has been reticent about sending abroad star pieces from its collection because of concerns they might be seized by mainland China, given that the objects were brought to Taiwan by Chiang Kai-shek’s fleeing nationalist government. Shen Yuan, Along the river during the Qingming Festival (detail), Qing dynasty 1644–1911. Courtesy: National Palace Museum, Taipei. © National Palace Museum, Taipei. Australia’s new Protection of Cultural Objects on Loan Scheme – which also enabled a recent collaboration with St Petersburg’s State Hermitage Museum – guarantees that works brought into the country for temporary exhibitions will not be subject to seizure despite political circumstances. The scheme is likely to lead to more rarely seen objects being displayed in Australia.